Wow, are we excited here! 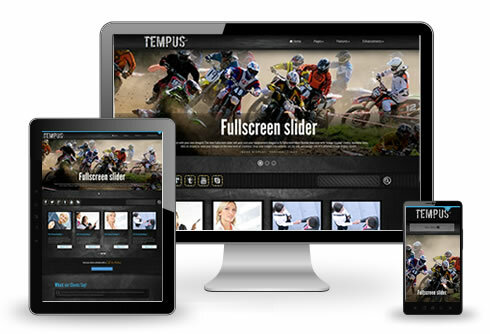 Colin put the finishing touches on his new website template masterpiece, Tempus HD, and we’ve released it to the general public. The official release via our email campaign can be viewed online. Now, you’re probably wondering why we’re calling this one a “masterpiece”. Well, like all great artists, your latest is usually your greatest. 13+ years of designing website templates has refined Colin’s skills to such a degree. This newest of our website templates is definitely high impact. With 8 new features that are (so far) exclusive to this design, the amount of functionality, that he has married with a beautiful look and feel, is shocking. We normally only add in one or two new components per design, but this time around he really wanted to “blow your socks off”. But, don’t take my word for it, check out our online demo — I’m sure you’ll be impressed with all of the bells and whistles. Today, we wanted to showcase some another professional category of our WordPress themes. The Medical WordPress Themes that we’ve designed and developed are some of the most stunning and exceptional WordPress Themes available. So what makes an our Medical WordPress Themes so exceptional? Well, it starts with a clearly defined purpose, then a professional and unique design. If you have a both of these in line, then does it also have a back-end administrative panel that is easily utilized by the person responsible for maintaining the website? This is extremely important, as many small medical firms have their reception staff manage their website. That is where our set of Medical Themes for WordPress come in. Professionally presented, and easy to update. We can even host your WordPress theme for you, if you don’t already have that looked after. And to put your mind at ease, every one of our WordPress Themes come with a 30 day money back guarantee — if you’re not happy with it, we’re not happy. See our promise, and go risk free. This week, we wanted to showcase some of the most exceptional and professional Accounting WordPress Themes in our catalog. So what makes an exceptional Accounting WordPress Theme? Well, it starts with a clean looking design. If you have a clean looking design, then does it also have a back-end that is easily utilized by the person responsible for maintaining the website? This is key, as many small accounting firms have their reception staff manage their website. Or if you’re an owner-operator, and do everything yourself, then it is important that you have a website that is easy to operate. That is where our set of Accounting Themes for WordPress come in. Professionally presented, and easy to update. And to sweeten the deal, every one of these Accounting WordPress Themes comes with a 30 day money back guarantee — if you’re not happy with it, we’re not happy. See our promise. Wouldn’t it be great to save a few $ now and then? We agree. That’s why, when you purchase a few (3 or more) web templates, WordPress themes, or website plugins, in the same order, we’ll give you 25% off those items. This even applies to those plugins that you bundle directly with a web template. So, go pick out a website and some cool enhancements, and know you’ll get 25% off the regular price. That’s DINO-MITE!!! No actual dinosaurs will be harmed throughout the duration of this promotion. Wow, are we excited here, or WHAT! Finally.. FINALLY.. finished off the Aquila WordPress Theme framework, and voila, Fortis as a WordPress Theme has been launched. Personally, this has been a huge undertaking. We had to redesign the entire framework from the ground up. While we used and leveraged a lot of code from the Orion framework, that we developed at the beginning of 2013, we really had to rethink a lot of processes. And I’ll be honest, there were times where my hairline actually visibly receded between 9am when I got into the office, and 5pm when I left… my children wouldn’t recognize me when I got home. (Although, I’m nearing good company, Capt Jean Luc Picard, etc). All joking aside, we’re also excited about the feedback we’ve received about the framework and how quickly we’ve seen interest in the newest of products. A tip of the hat to Colin and the team for making such a great design, in Fortis. Vesper is soon it’s heels (anticipated October 22nd launch), with Champion and Expo in early November. Keep an eye on our wordpress themes catalog for these up and coming exceptional products. And, if you want to see some of the magic and excitement that I’ve been talking about, take a look the introductory video I’ve done for Fortis as a WordPress Theme, here. Recently, Twitter deprecated their old API in favor of the new one. The problem with this is that their old twitter feed, which uses the old API, was not updated. In other words, all of those twitter feeds were included in our WordPress themes are now defunct. This one has been coming up a bit recently. Perhaps we’re just getting some new customers using a particular web host that don’t have their servers set up as expected. In any case, what is happening with the Tim Thumb script that we include with our WordPress themes is that it is returning a “Could not find the internal image you specified.” error when we ask it to render an image that we KNOW is on the filesystem. Okay, maybe the drumroll is a bit early, but I can safely say, I’ve done as much development on the new wordpress themes framework, that is going to be done for launch. Aquila is just two weeks away!! Over the last seven weeks, I’ve taken our Orion framework and incorporated an incredible amount of ingenuity (imho). We needed a new way of thinking about the page structure, to take advantage of all of the great features of the Twitter Bootstrap system. Orion (the hunter) transformed into Aquila (bird of pray, also a hunter). The there are so many beautiful things about this new WordPress Themes framework that, but I think that which I’m most excited about is the theme updater that leverages code from the WordPress system. Getting your theme update will be even easier which is key as we plan on updating the framework every week with new features. We have a week or so of getting the updater completed, as well as the system packager. Over the course of October we’ll be adding probably 20 or more features there we don’t have in the current Orion themes. And the plan then is every two to three weeks a new WordPress theme will be launched. EXCELLENT progress this week. It seems that the last week in August is when a lot of people go on vacation. Phones were pretty busy this week, but Colin fielded most of the calls (Christina is back mid-next-week from vacation). While I’m hopeful that I’ll have Fortis released as a WordPress theme by September 20th, I still have a tremendous amount of work to do to make the product ready for launch. That all said, I’m really happy with how things have gone this week. As you can tell, there’s not a lot left from my initial list, still to develop. I’ve had to relegate some of the more advanced items to a post-initial-launch date. We’re also going to be launching some of the more complex items as premium upgrades. Next week is going to be getting the last of the layouts done, as well as getting placeholders in place for help videos (directly within the theme). The week after that I’ll be working on getting the installer working with the new framework before launching somewhere around September 20th. Even though primary development will be done by the end of next week, there will be a lot of tutorials and internal systems that I’ll need to work on to get it ready for launch. BUT, it seems we’re just about in the home stretch! Yay!